Musgrave Harbour was originally named Muddy Hole when the first settlers, John and Ann Whiteway and their nine children, arrived in 1834. 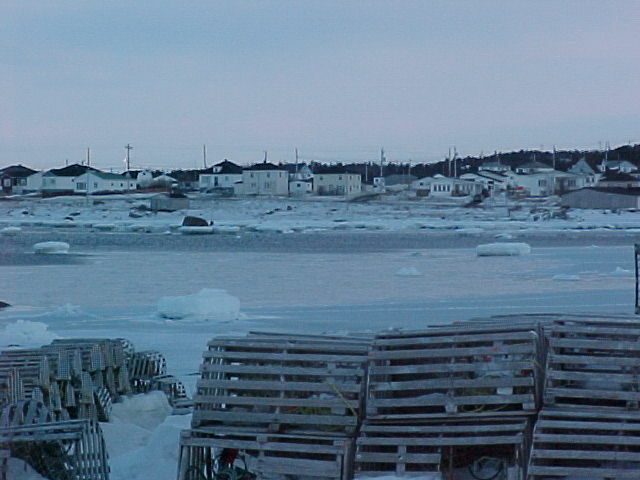 The town was renamed Musgrave Harbour in 1886 in honour of Governor Anthony Musgrave. 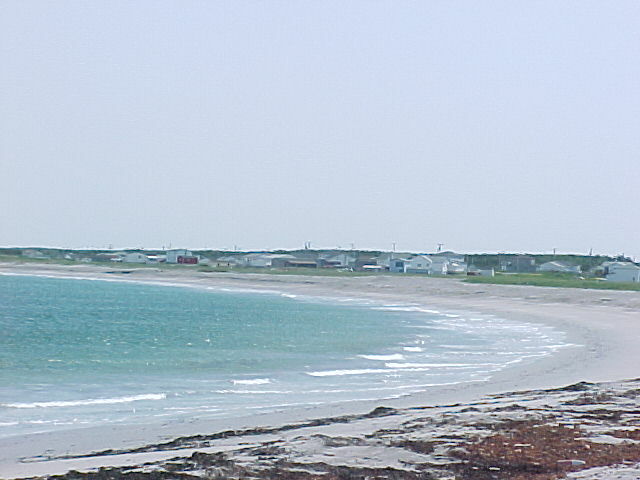 Musgrave Harbour is an outstanding community that is known for its miles of sandy beach that line the Kittiwake Coast. It is known for the kindness and generosity of the people living there. Whether you're searching for some fun activities, relaxation, a place to stay or just for directions; you are sure to get what you are looking for in this town of 1400. While in Town you can visit the Orange Hall, Fishermen's Museum or drop by the Town Office and find out about special events and activities going on in the area throughout the year. On Route 330, four kilometers south of Musgrave Harbour you can visit the Banting Municipal Park, named in honor of Sir Frederick Banting. Another place to visit is the Fisherman's Breakwater where you can watch the many fishing boats come and go and maybe get some fresh catch for the evening meal. From the Breakwater, and all along the shoreline, you can see the Wadham's Islands. Musgrave Harbour has a close connection with these islands as they provide much of the fishing grounds and some rich history of shipwrecks and pirates. Musgrave Harbour was also the landing site of the St. Brendans. In the early 70's, a crew of five men left from Ireland to prove the first settlers were a group of monks, who set sail from Ireland in the 1500's in a leather boat. The boat successfully creossed the Atlantic Ocean and landed here in Musgrave Harbour. 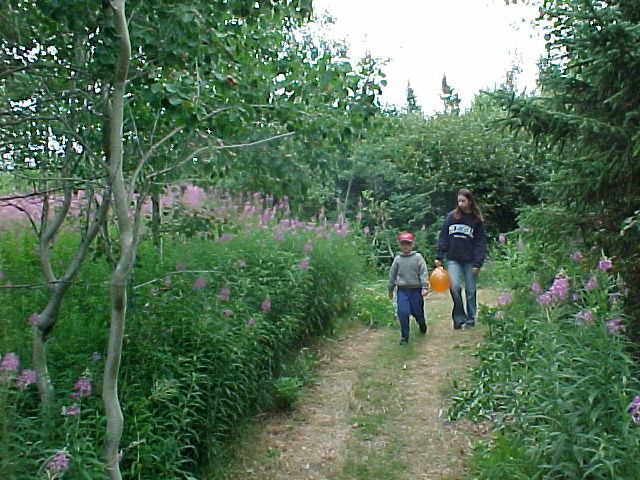 Musgrave Harbour has several beautiful walking trails, offering spendid scenery and a sense of peace and tranquility. The Banting Walking Trail is located at the Banting Memorial Municipal Park. The Muddy Hole Point Trail has a spectacular view of the Wadham's Islands and hidden beaches. The Big Brook Walking Trail explores the marshlands, beaches, and hidden coves. It also leads to the crashsite of the Lady Peace. During September of 1936 the Lady Peace crash landed while completing the first ever round-trip flight from North America to Europe. The fuel tanks had leaked, which caused the plane to crash land on the marsh in Musgrave Harbour. Repairs were made and the Lady Peace took off again from the beach and finished the historic flight. Another attraction to enjoy while in town is Musgrave Harbour's annual "Muddy Hole Scuff and Scoff Festival" held during the second weekend of August. The festival grounds are located on the sandy beaches of Musgrave Harbour and include a bandstand, jumping castle, beer tent, game booths, food booths, picnic tables, and a boardwalk for easy access to the beach. 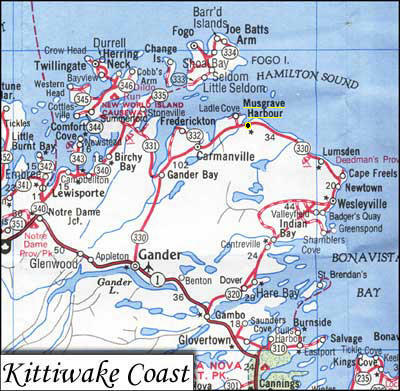 Musgrave Harbour is located on the North East coast of Newfoundland, Canada, also known as the Kittiwake Coast. 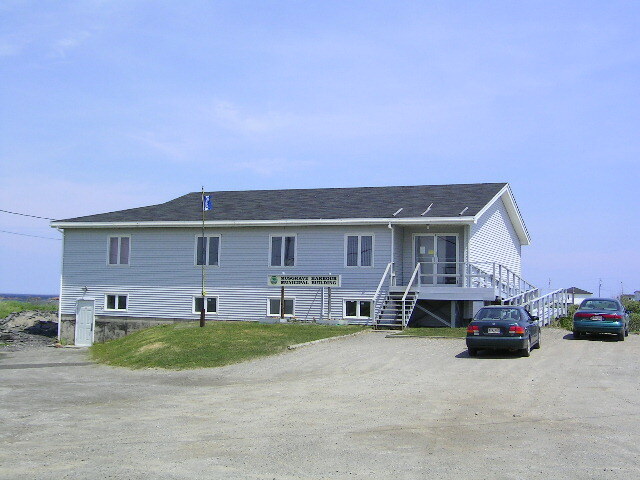 Musgrave Harbour can be accessed from two points on the Trans Canada Highway, from Gambo on route 320 or Gander on route 330.